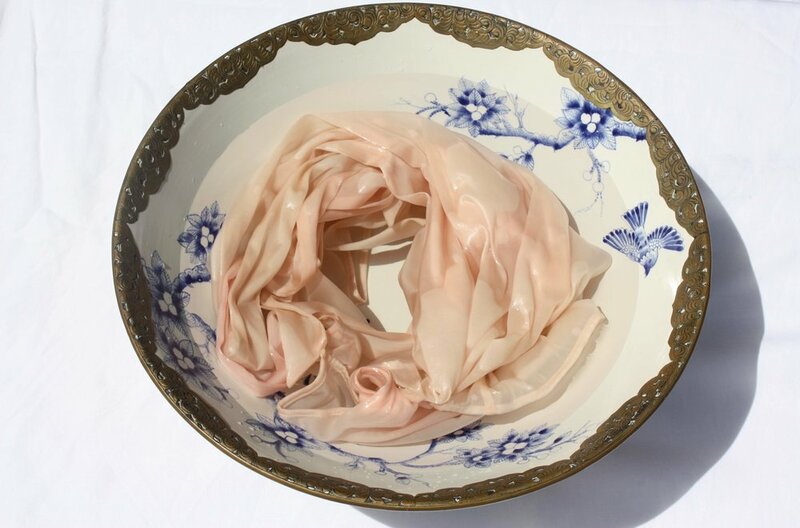 All of MAISONZHOU's pieces are made from a fabulous stretch silk-satin (which gives the fabric movement and a brilliant shine). We add 8% spandex (maybe a hangover from designer Sophie’s childhood winters in rural England, cocooned in tights for months on end). Result? Super-comfortable pieces which move with you, taking you from bed to yoga to brunch and back again. But... all that loveliness requires a little care and attention to keep it looking its best. No surprises that one of the most common questions we are asked is "how do I take care of it"? MAISONZHOU founder SOPHIE CORLETT explains. IS hand washing the only option? Taking care of your silks at home is super straightforward but I know you’re busy, so dry clean if you prefer! I always recommend a green dry cleaner, without an arsenal of petrochemicals in its tool kit, if you can. How DO I hand wash my silks? Silk is a delicate and luxurious fibre, produced by silkworms. Treat it with care for a long and happy life together! Usual laundry rules apply – keep different colours separate and steer well clear of any laundry formulations containing bleach. Fabric conditioner is not necessary. If necessary, treat any stains with a stain remover especially formulated for delicates and silks. Take care not to rub the silk which can cause damage to the fibres, leaving a permanent mark on the silk. Pick a detergent suitable for silks and delicates (try Baby Unscented Pure Castile Soap by Dr Bronner's) and add to a bowl of cool water. Wash gently (by which I mean, swoosh the piece around in the water agitating any dirt, but not disturbing the silk fibres themselves). 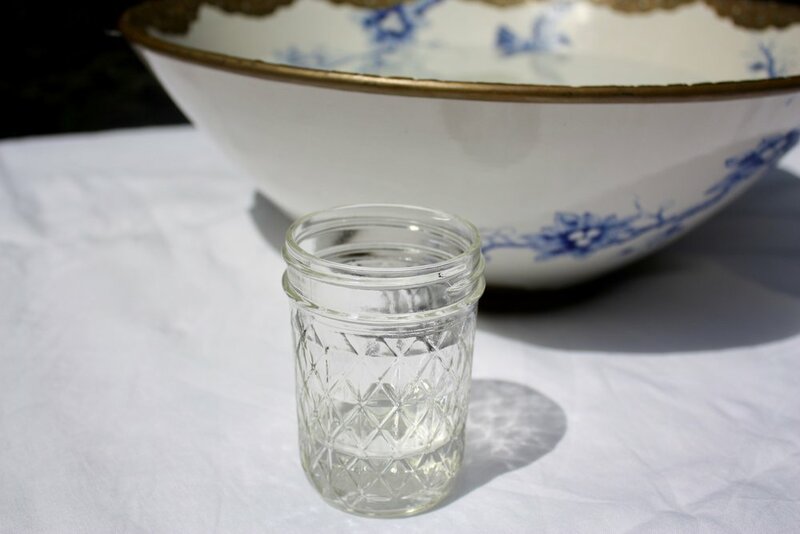 Old-fashioned vinegar is my favourite way to treat odours, remove detergent and add lustre to silk. Add 50ml white vinegar to a bowl of clean cool water and rinse the piece in it. (Diluted vinegar can also be used as a pre-wash treatment). Rinse under cool running water or in another bowl of clean cool water. Pat out the excess moisture using an old towel and hang or lay flat to dry (use that towel again to avoid getting lines from your drying rack on the silk). No wringing please - you want those silk fibres to lie flat and smooth. Dry out of direct sunlight and away from any direct heat sources. I am mildly obsessed with garment steamers. Simply hang your garment inside out on a clothes hanger on the steamer, power up and use the hand-held nozzle to fire steam all over it. Ridiculously quick, avoids ironing lines into the silk and strangely satisfying as you watch the creases literally drop out. A small victory for lazy girls everywhere. Pop one onto your Christmas list and as an alternative, if you’ve slept in your silks, just hang your pieces in the bathroom and take a hot shower. Voilà – wrinkle free. Classicists amongst us may press on the wrong (non-shiny) side with a low iron. 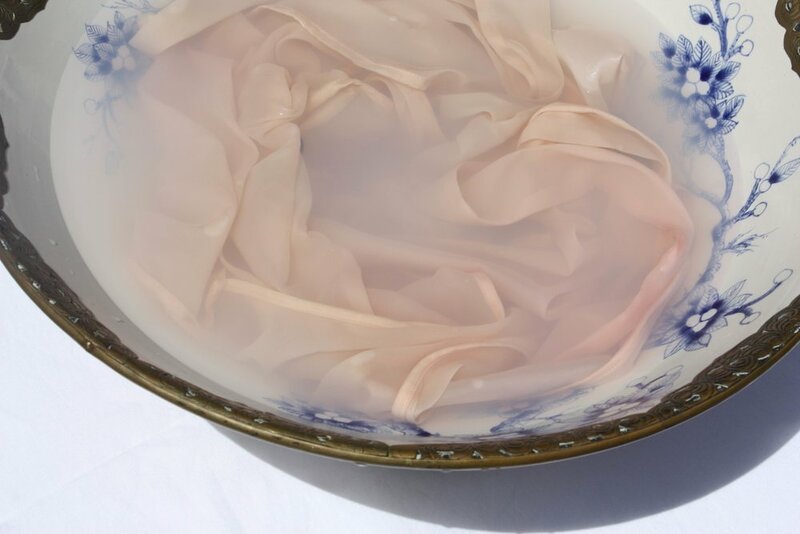 Silk is a natural fibre and will crumple if it is left in the bottom of a gym bag, or on a bedroom floor (if it doesn’t crease, it’s had a chemical treatment and at MZ we prefer our silks au naturel and breathable). We always recommend hanging your silks and storing them out of direct sunlight to avoid fading. 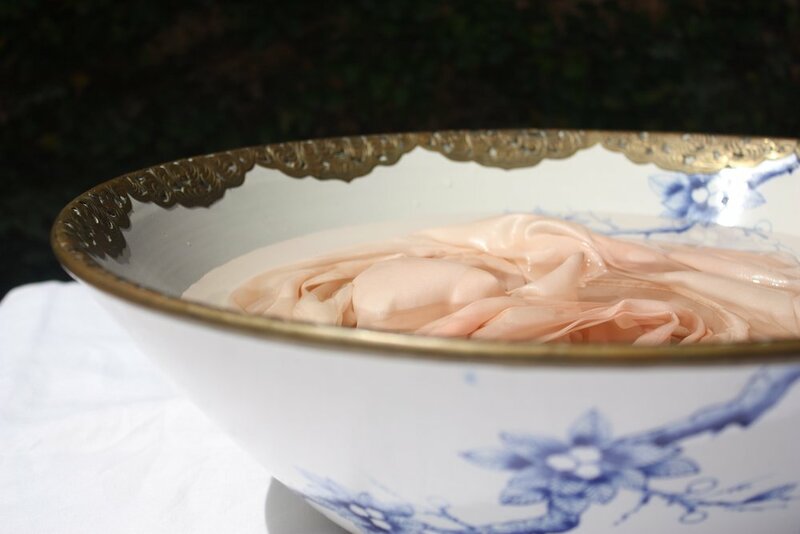 All our silks can be machine-washed on a cycle suitable for delicates with an appropriate detergent. However doing so will cause the silk to lose its sheen and over time to take on the characteristics of washed silk (i.e. with a matte finish). It’s a matter of personal preference but to keep your silks looking as good as new, we recommend that you follow the steps above instead. That's all you need to know. Any questions, drop us a line at hello@maisonzhou.com and do note that we can't guarantee the results of your washing endeavours, so keep an eye on Jeeves. Ex-lawyer, designer, mama and founder of MAISONZHOU, Sophie is obsessed with creating the perfect bedtime for women everywhere, one pair of pajamas at a time.